Police and prosecutors had a broad view of their right to raise revenue and punish people via civil forfeiture instead of criminal courts. UPDATE February 20, 2019 11:50 a.m.: The Supreme Court unanimously ruled in Tyson Timbs' favor, with the majority finding that the seizure violated the Eighth Amendment's prohibition on excessive fines. In the Supreme Court on Wednesday, Indiana's solicitor general admitted under skeptical questioning from Justice Stephen Breyer that his defense of Indiana's civil forfeiture laws would allow his state — or any state — in need of revenue to start seizing the luxury cars of motorists caught speeding just five miles over the limit if they simply passed a law allowing themselves do so. Thankfully, that argument will not win at the court, but it aptly illustrates how broadly police and prosecutors view their prerogative to raise revenue and punish people via civil forfeiture, often in ways of which the average American is unaware. Wednesday's case, Timbs v. Indiana, isn't atypical of how broadly civil forfeiture already plays out, with police seizing property in furtherance of the continued War on Drugs. Tyson Timbs, for instance, was convicted of selling a few grams of heroin worth a few hundred dollars to an undercover police officer. As a result, he received a six-year suspended sentence (including a year of home confinement) and five years of probation. 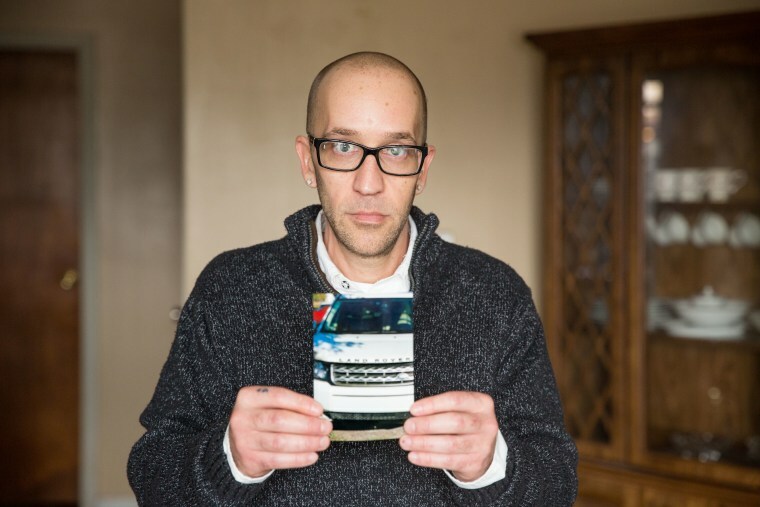 In addition to the sentence levied by the court, the state of Indiana seized his 2012 Land Rover, worth an estimated $42,000, in a separate action under the state’s civil forfeiture law. Timbs challenged the seizure as a violation of the Eighth Amendment's prohibition on excessive fines, as the value of his vehicle was about four times the amount of the maximum fine the trial court could have levied against him (but did not). Although Timbs’ lawsuit prevailed in two lower state courts, the Indiana Supreme Court noted that the U.S. Supreme Court had never explicitly applied the constitution’s prohibition of excessive fines to the states and, therefore, he didn’t have a right to sue. Oral arguments made clear that Timbs will likely win — but only on the question of whether the law applies to the states, rather than on whether or not civil asset forfeiture violates the constitution. And, while Timbs had been convicted of a crime, the law does not require a criminal conviction or even an arrest to allow the government to demand asset forfeiture. In some jurisdictions, police officers can simply assert that they suspect someone was involved in criminal activity to be able to seize cash or other property connected to a suspected crime because, unlike a criminal case in which the government must prove a defendant's guilt beyond a reasonable doubt, a property owner to prove their assets are legitimate in a civil forfeiture proceeding. Thus, it's telling that Justices Sonia Sotomayor and Neil Gorsuch were openly critical during oral arguments of the evolution of forfeiture into a punitive method the government uses to extract money from individuals, suggesting that they may deem it worthy of further judicial and political remedy in the future. And, while Justice Clarence Thomas maintained his usual silence during oral arguments, but he has previously expressed his hostility to civil forfeiture as a practice. This case, however, is unlikely to mean the end of civil forfeiture. Despite a reputation to the contrary, the Supreme Court in general (and the Roberts court in particular) is institutionally loath to force sweeping legal changes from the bench without hearing multiple cases on the underlying issues. With some notable exceptions, the Roberts court prefers to chip away at precedent and explicitly urge Congress to make changes to a law before overturning past decisions. For instance, Citizens United (political speech), Shelby County (voting rights) and Janus (public sector union funds) all concerned issues that the court addressed several times prior to those decisions. But while majority opinions often make for dry reading, concurrences and dissents allow the justices to opine on what is really gnawing at them — and sometimes they provide a roadmap for attorneys and activists to bring a certain kind of case. If one or several justices author concurrences that speak at length about civil forfeiture, they will likely lay out the arguments they want to see in a future brief when a forfeiture case with the right facts comes before them. Meek Mill is the latest victim of America's unjust justice system. When will it end? Beyond legal strategy, the power of concurrences and dissents can also have political impacts. As neutral as the court would like to portray itself, its members are political symbols and their words can carry a lot of weight. Emphatic criticisms of government policy can provide cover for either conservative or liberal actors in state legislatures. Governments are right to be worried that the legal and political forces are aligning against their law enforcement cash cow. So whenever it comes down, the Supreme Court’s decision in Timbs will likely be less notable for what it says about incorporation than what it signals for the future of civil forfeiture. Disclosure: The Cato Institute filed a joint amicus brief with the Southern Poverty Law Center in Timbs v. Indiana in support of the plaintiff. The author did not contribute to the writing of that brief. 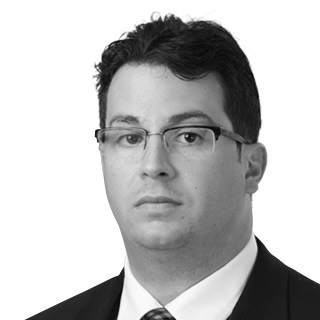 Jonathan Blanks is a research associate in the Cato Institute's Project on Criminal Justice. His research is focused on law enforcement practices, overcriminalization, and civil liberties.